Yes, we're off by a few days (OK, more than just a few days, late June to be exact), but other than that, that now famous Beatles record album was released 50 years ago in 1967. 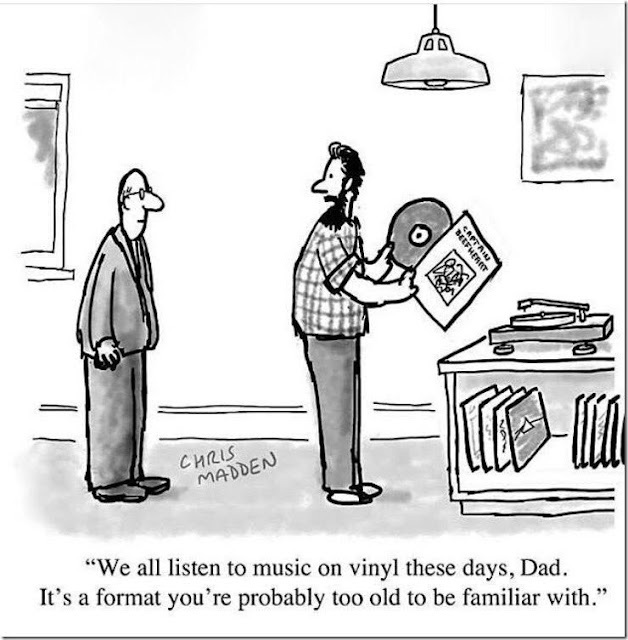 While that made many of us feel older that we wanted to, the irony in these details are the once thought of as dead vinyl record business along with all of the components necessary to play them is again a BOOMING business! So now that we've found every way possible to hide our stereo components from view, attempt remote hook ups using WiFi and Bluetooth, it's time to "become the coolest kid on the block" by putting your vinyl playing equipment back in sight. Our first glimpse into the resurgence of vinyl surfaced a few years ago, but it wasn't until we started poking around the Internet did we realize the scope of these recent changes. Here's a snapshot of what we found. Lot's going on here. First, by entering in your zip code, you can find all of your local indie record stores which sell new, used LP's along with other audio formats, sometimes new, sometimes used. Moving through the site, you'll find numerous "gems" which include new and reissue dates for the latest albums, news about upcoming releases and related items., such as SONY is building a new "vinyl factory" to capitalize on the growth. Speaking of the Beatles and the Sgt. Pepper album, an entirely new reissue was created from scratch and made available for the 50th anniversary. You'll find those details in the "News" section. Great video with the article too. 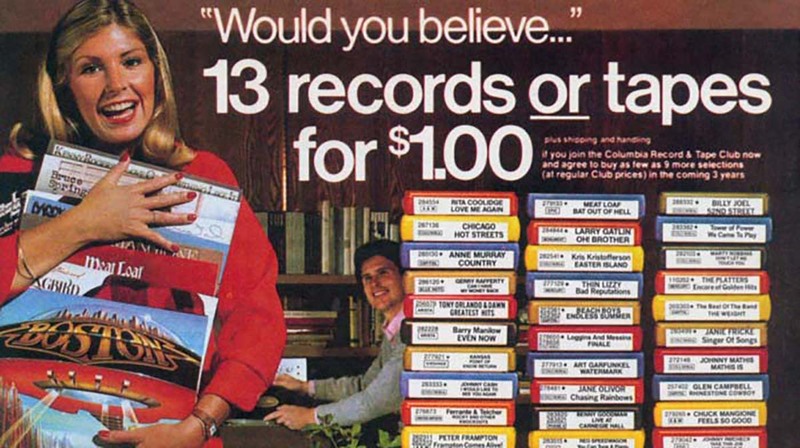 If you're over 50, you are likely to remember the numerous record clubs from the 60's and 70's. For those younger, the "deal" was you got to order a box of albums for $1 providing you signed up for one new album, per month, for a year. What they didn't tell you was these once-a-month LP's cost a FORTUNE as compared to normal retail prices and if you didn't respond to their mail, they would send you THEIR album of the month and there were no cancellations allowed. While this new service is somewhat reminiscent of the original concept, it's truly very different. If these facts are of interest to you, please visit their site for the full details. But in brief, they offer limited special editions of new or newly reissued LP, instead of the "plain Jane" black vinyl editions and each purchase includes additional similar perks. They also have a large library of available LP's from both current and past groups. Another search showed that vinyl LP's are becoming widely available. from Barnes and Noble to Walmart and everyplace in between. 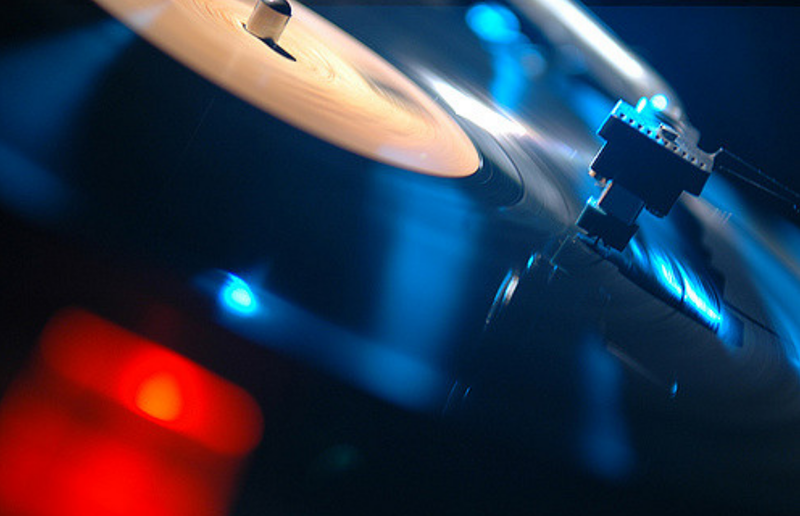 If you've discovered your old turntable is shot or needs a new needle, there are numerous replacements available online and possible locally as well. Moving Back to "The Groove"
Maybe it's time to dig your stereo equipment out of storage and put it back in use. In my own case, I purchased a replacement needle for my Audio -Technica cartridge (that's the magnetically driven device where the needle is inserted converting the record grooves into a signal for amplification) years ago while attempting to convert my LP's to digital format. That was a failed effort as far as I'm concerned, but I did unpack and set up my full component system in my last move to the Atlanta market. I also bought a newly pressed version of Quadrophenia, but I never opened it until today. Maybe it's driven by my memories of day past or nostalgia clouding my judgement, but I'd swear it sounded better than anything in digital form. I'm now thinking I need to dig out the cases of LP's that I've been storing in the basement too. That said, doing another bit of research, everything you need to reassemble a long gone component set-up is currently available, just don't be too shocked at the cost to replicate. After some homework, I should really consider having my vintage Marantz receiver refreshed by a qualified shop. They're selling on eBay for almost $900. What's All This Have To Do With Classics? It's really very simple. The resurgence in analog driven devices will lead many younger people to look at Classics as the "King of Analog". Now if you want to be best equipped to capture the hearts and minds of these new enthusiasts, you should really be developing the history of your Classic using a Garagistry account. Why is because they will be drawn to the cars that have detailed records, stories and photos that separate the average Classic from a more desirable version. "Cars with both a verifiable history and documentation to confirm quality and condition are 3X more likely to sell and can affect the final value by up to 20%"